The Interior Minister, Rashid Nurgaliev has expressed bolstering efforts with staff as the top priority, as the new Law on Police goes into effect on March 1. President Dmitry Medvedev signed the bill into law on February 7, and on Tuesday police are to start working by the new rules. The document sets the rights and duties of policemen as the first step in reforming the nation’s police force. 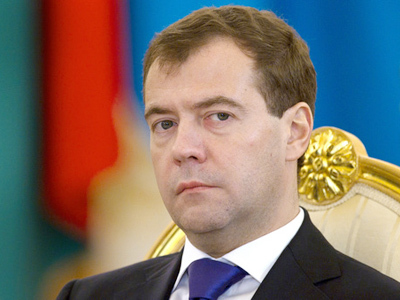 According to Medvedev, the changes demand additional amendments in legislation. The top priority for the Interior Ministry is working with staff to bolster effectiveness, Rashid Nurgaliev said in an interview with Izvestia on Monday. He acknowledged that some police chiefs in the regions had weakened control over staff discipline. Heads of regional and municipal police departments have been ordered to exercise stricter personal control over subordinates. They will also communicate regularly with ordinary citizens, as police should work “not for the sake of good reports, but for the people,” Nurgaliev stressed. Another priority is building a new crime prevention system. It should be based on close cooperation with citizens, state authorities and civil society institutions, Nurgaliev believes. Other countries’ experience could be taken into account, he said, when “a socially active citizen” plays a major role in preventing or even exposing a crime. Answering critical questions on the work of police, Nurgaliev promised to improve the quality of its operations and crime-fighting activities “to prevent and thwart acts of terrorism and extremism.” Currently, police are beefing up security measures at mass venues and are inspecting the state of infrastructure security, the minister said. Nurgaliev noted a positive trend in the rate of exposing crimes against state authorities in 2010. The overall crime rate was also on the decline over the past year, the minister said. “But the efficiency of the current measures leaves much to be desired,” he noted. Among measures intended to improve public security, the minister put forward a ‘safe city’ program and broader use of navigation and monitoring systems. About 683 police call centers and 16,000 police cars have already been equipped with satellite navigation and monitoring systems. As police are gearing up for the reform, citizens have yet to choose how to address them. 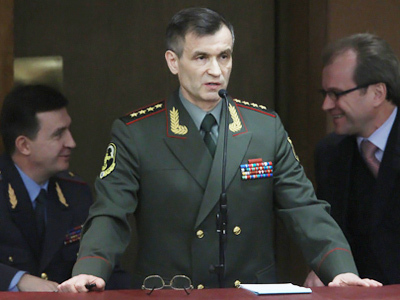 Nurgaliev had earlier suggested that officers should be addressed as 'policemen,' a new word in Russians' vocabulary. 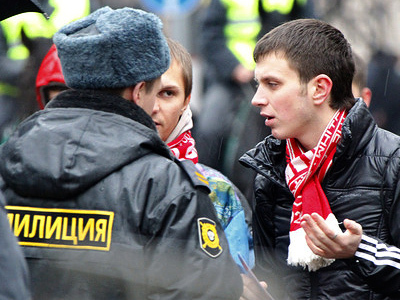 People were used to calling the officers “militiamen.” The return to the word 'policemen,' used in Russia prior to the 1917 revolution, is part of a large-scale reform of the police force. However, ‘policeman’ is only one new way to address officers, Nurgaliev told Izvestia. Citizens should make the decision themselves, but in any case they should address officers “in a polite and proper manner,” he said. The title 'comrade militiaman' was never pushed on citizens either. The public opted for this themselves, and they are bound to do it now as well, the minister said. The new image of the Russian police will change gradually, and even the name “militia” can be used until January 1, 2012 on police cars and officers’ uniform. Nurgaliev himself does not know how the approved uniform would look like because it is still only in the making.